If you have had some type of extensive medical care yourself, then you know that not all patient care technicians (PCTs) are created equally. Some treat their role as an obligation that they can’t wait to be done with, while others seem to thoroughly enjoy what they do. Of course, the way in which a medical professional performs their job duties can have an incredible impact on the patient care experience, and so it is important to understand what qualities make an exceptional PCT. 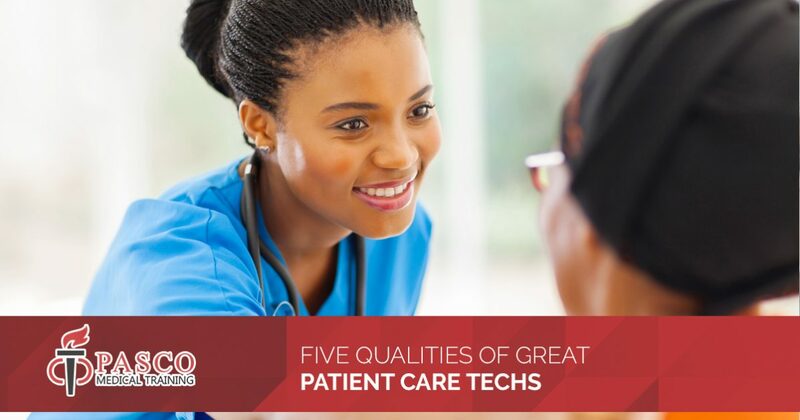 Check out five essential qualities below, then call Pasco Medical Training to learn more about our patient care tech courses today! What Makes a Successful Patient Care Tech? Successful PCTs pull from an expansive knowledge base in order to perform their daily duties. They must possess a solid understanding of everything from basic anatomy and physiology to performing 12-lead EKGs and phlebotomy tasks. An accredited patient care tech course provides students with much of this knowledge through a combination of classroom instruction and hands-on experience. PCTs are on their feet for the better part of their day. They provide care for multiple patients every day, and they’re often called upon when emergencies arise. They also assist in moving, living, and transporting patients. As such, physical strength and endurance are key qualities of successful patient care techs. In order to provide the best care possible, PCTs must show empathy and compassion for their patients. By putting themselves in the patient’s shoes, the patient care tech becomes more attuned to each patient’s unique needs and feelings. This not only enhances the patient care experience, it can help form the basis of a trusting patient-caregiver relationship. Healthcare technology is constantly evolving, and virtually every care task relies on some form of it. Whether they are doing something as simple as taking vital signs or operating advanced types of monitoring equipment, patient care technicians must have the technical skills necessary to do so accurately and efficiently. Finally, the importance of patience should never be underestimated. Many of the patients that PCTs care for are elderly, ill, or injured, and they may move at a slower pace or have trouble understanding directions. Great PCTs remain calm, respectful, and patient at all times to ensure their charges get the care they need and that they are comfortable during the process. Enroll in Patient Care Technician Training! Think you have what it takes to become a successful PCT? If so, then Pasco Medical Training is here to help. 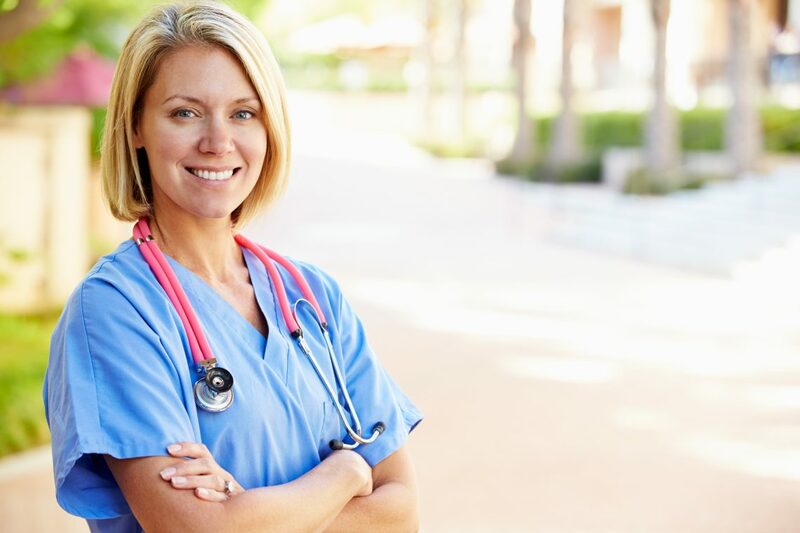 We offer patient care technician training courses that provide you with both traditional classroom instruction and hands-on learning to ensure that you have all the skills and knowledge you need to enter the workforce and obtain a job as soon as possible. Enroll in courses now, or contact our administrative team at 727-597-4403 today to learn more about our Top Rated Local® medical training programs!